AUD was supported due to the Company Gross Operating Profits report. The pair is finding support at 0.75810 with resistance at 0.76590 which both lines are above the weekly pivot point at 0.75580. The EMA of 10 is moving with bullish bias and it has reached the EMA of 100. The RSI is above the 50 level in the overbought area and the MACD indicator is in positive territory heading upward; the Stochastic is reaching its maximum rate and it is showing upward momentum. 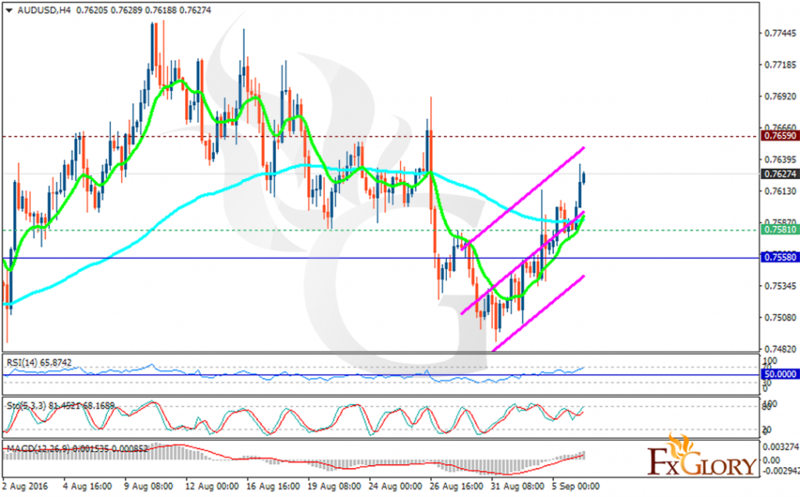 The pair will continue its growth targeting 0.7600.